AVAN LAVA began as a conversation between Producers/Musicians Le Chev and Ian Pai during an overnight bus ride after performing at the Sao Paulo Bienal with Fischerspooner, a band with which both still work and perform. That night in the fall of 2008, en route to Rio de Janeiro, Le Chev and Ian shared their love of Prince, Daft Punk, electronic beats, R & B, and Indie music and contemplated how those things could all be melded into one sound, one band. A few months later, back in NYC, while at a reading of "The Last Goodbye" (a musical adaptation of Romeo & Juliet set to the music of Jeff Buckley), they discovered vocalist Tom Hennes. They knew that they had found the perfect vocalist for their project the moment he sung the first words of "Corpus Christi Carol." 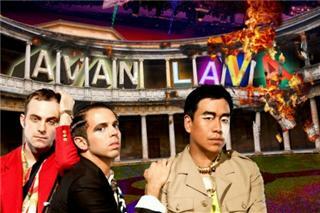 AVAN LAVA became official in early 2009, when Le Chev began working with Tom while Ian went on tour with Fischerspooner (Drums/DJ/Performer) and Blue Man Group (Drums/Music Direction). In the following months Le Chev and Tom completed "Vapors", AVAN LAVAs first EP. Faux Pyre Records released "Vapors" in March of 2010. The Village Voice wrote "Avan Lava is lush, sparkling,...textures are more euphoric than headknocking--their relentless grooves also evoke a love of things like Sigur Ros, Sea Change-era Beck, Beach House, and other feel-good blasts." Jezebel Music described "Vapors" as "ambient at times the group switches easily between shoe-gazey, dream pop and bouncy, dance-ready neu-disco". Big Stereo added "at times chill, other times experimental and lush. And then there is this pop moment, "The Easy Way", which leans on Prince a bit but is also deeply rooted in electronic sounds." When Ian returned in the fall of 2010, the trio immersed themselves in the studio, working on a new EP as well as their live show. Tired of the Shoe-gazed, Chill-Waved, Glo-Fied performances that have become the norm, they decided to create a high energy, exciting show to get people back on the dance floor. For live performances, they added vocalist, percussionist and theatrical technician Andrew Schneider (of The Wooster Group, Fischerspooner) and musicians/vocalists Drew Citron and Jo Lampert. Its been a busy year for AVAN LAVA. 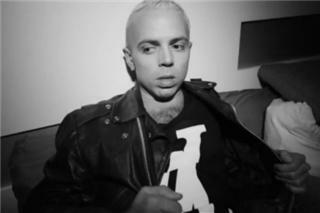 Warren Fischer (Fischerspooner, Bunker) has produced their first music video. Choreographer Sonya Tayeh (So You Think You Can Dance?) has requested to choreograph and style their first tour. 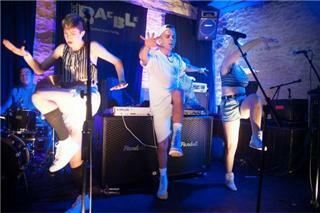 They are currently preparing for a February 2012 release of an EP titled "Flex Fantasy". Produced and Mixed by AVAN LAVA and Mastered by Tom Coyne (Robyn, Beyonce, Jay-Z, D'Angelo) at Sterling Sound. They have also worked as Producers, Composers and Mixers for recorded works and live performances with bands such as Cold Cave, Fischerspooner, CSS, Casey Spooner, Frankie Rose, SSION, Lemonade, Lia Ices and The New York Philharmonic (yes, you read that correctly). They have also made remixes for R.E.M., Passion Pit and NewVillager among others. Warner Bros. will be releasing their most recent remix (made with Casey Spooner) of R.E.M.s "Blue (with Patti Smith)" from R.E.M.s final release "Collapse Into Now", in early 2012.